!UNDER CONSTRUCTION! Make floors or streets with these 2" x 2" tiles. 2" x 2" cobble stone tiles. You can join them to make a large street or floor. This shows how you can expand. The wall section repeats to make large rooms. 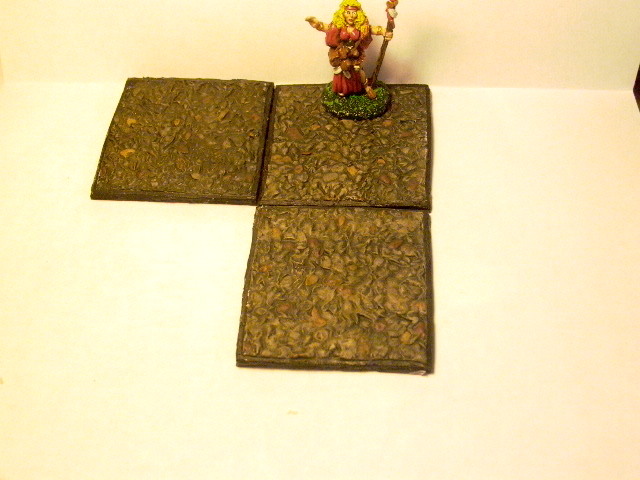 2" x 2" square tile panels. You can join them to make a large tile floor. I need more pictures to do them justice. 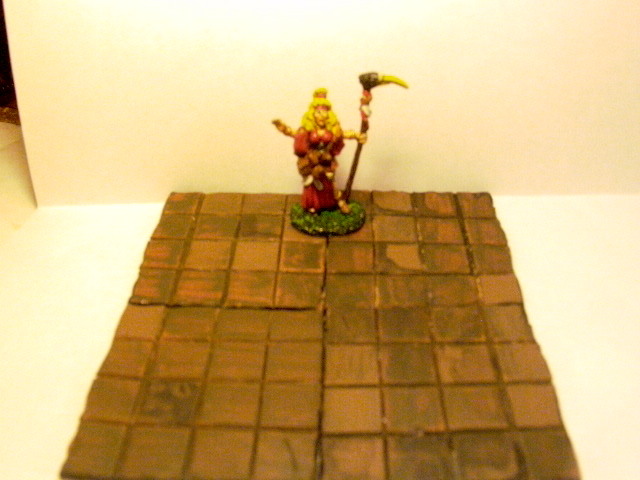 The mini is a 25mm reaper mini used to show scale. As for the cobblestone it is 2" x 2" and has a border which looks like some of the streets I have been on overseas. Which had remnants of wood on the borders of the cobblestone. You can make a floor or street with these. The tile is mainly for houses and stuff. It can be cut to fit around any floor plan with a exacto knife. This is made in 2" x 2" also and will glue down to any surface. They match up well and are close to the same thickness. I did not trim or sand any of these before I made the pictures. All I did was prime and paint them.